Many new developments, related to the interpretation and importance of symmetry relationships, quantum mechanics, general relativity, field theory and mathematics have occurred in the second half of the 20th century without having a visible impact on chemical thinking. By re-examining basic theories, The New Theories for Chemistry aims to introduce a new understanding of old concepts, such as electron spin, The Periodic Table and electronegativity. The book focuses on the new mathematical concepts that enable the exploration of interactions between particles, waves and fields within a chemical context, and is packed with examples to support its arguments. The author adopts a practical approach and topics are arranged sequentially, from the mathematical basis through to general concepts. 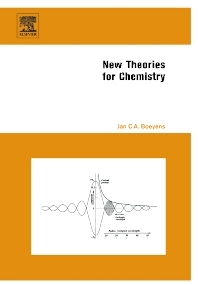 An essential reference source, this book is suitable for physicists, theoretical and physical chemists, as well as students and researchers working in the field.